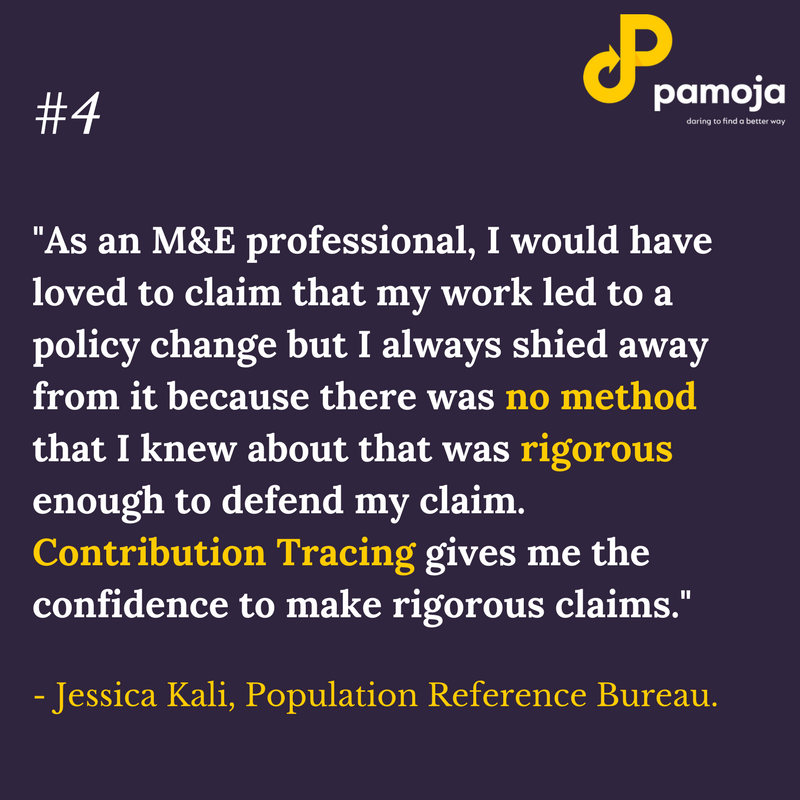 At Pamoja, we want to help you save time during evaluations and gain more confidence in your impact claims. Ultimately, if you're a consultant, we want you to attract more clients and if you're an organisation, we want to help you help you make robust claims in order to possibly attract more funding. All this, in a third of the time you would usually spend during an evaluation. So let's get started, shall we? This is a two-day intensive course which can provide you with many tools and skills to make better your evaluation technique. Understand the theory underpinning Contribution Tracing. Be able to apply the 5 key steps in a Contribution Tracing evaluation of your own.